Generally in the football world it was a low-key January Deadline Day, but not in Nottingham. Nottingham Forest signed forwards Ross McCormack and Zach Clough and also added two midfielders, Joao Teixera and Gboly Ariyibi. McCormack and Teixeira joined on loan until the end of the season, whilst Clough and Ariyibi signed four-and-half-year and three-and-a-half-year deals respectively. McCormack joins on loan from Aston Villa until the end of the season, following public criticism from his manager Steve Bruce. Whilst his work ethic and fitness levels have been questioned in recent times, there is no doubting McCormack’s ability. The Scotland international has been one of the most lethal strikers in the Championship in recent years and he will be hoping to rediscover his form at the City Ground. He scored 21 goals in 45 league games in a struggling Fulham side last season which paved the way for a £12m move to Villa in the summer. In his last three seasons (one with Leeds, two with Fulham), McCormack has scored 66 goals in 135 league games. Since joining Villa though he has managed just 3 goals in 20 games this season, not what the club would have expected given the large fee they spent on bringing him to the club. Now 30 years of age, McCormack will be need to find form again to secure another big move, should he leave Villa in the summer. If not, bridges will need to be built with Steve Bruce before any return to Villa Park. This is course is dependent on whether Bruce is still at the club come the summer given the side’s struggles of late, after a good start under him. Should a new manager come in, a returning McCormack will probably be given a chance to prove his worth. Joao Teixeira played 17 league games for Wolves earlier this season and will now see complete a full season in the Championship. Forest took over the loan deal from Wolves and they will hope he can add a vital creative spark. Teixeira has played 80 games for Benfica B, but made just one appearance for the first team. That one appearance came in the Champions League, so he has played on the biggest stage in club football. In addition, Teixeira has played five games for Vitoria Guimaraes on loan and also represented Portugal from under-15’s all the way up to the under-21’s. The good news for Forest is that he already has the taste for English football so should settle in fairly quickly. Gary Brazil and his coaching staff will be hoping he can help supply his newly bolstered attack. Forest finally got themselves a Clough. Zach joined for an undisclosed fee which has been reported to be around £2.5m. On the face of it looks a great bit of business for the 21-year old. Clough who can also be used as an attacking midfielder, scored 21 goals in 58 games whilst at Bolton, which is impressive given the state of the club of late. Bolton were relegated from the Championship last season, but in his first two seasons with the club, Clough managed 12 goals in 36 games. His 5 goals in 8 games in the 2014/15 season was a great start to his senior career and Forest will be hoping he gets off to a similar start Trent-Side. In League One this season, Clough was directly involved in 15 goals (9 goals, 6 assists) in 22 appearances. With Britt Assombalonga likely to keep his place in the side and McCormack joining, it wouldn’t be that unlikely to see Clough drop into that attacking midfield role or start games on the bench for the time being. Either way he looks to be a great coup, for a club in desperate need of good news. Forest beat Rotherham 2-0 last night to move up to 18th in the table, and will be hoping Clough can help them continue climbing the table. Ariyibi looks an interesting prospect. Coming through the ranks at Southampton as a youngster he was in the same youth side as the likes of Luke Shaw and James Ward-Prowse, so the future looked bright for Aryibi. Unfortunately, Mauricio Pochettino decided to release him in 2013, before Leeds United took a chance on the young American. Ariyibi made just two substitute appearances for Leeds in the 2013/14 season with his debut coming against Forest, alongside McCormack. The USA Under-23 International was then sent on loan to Tranmere Rovers in March 2014 for the remainder of the season. He again played just two games whilst at Tranmere and he was subsequently released by Leeds in May that year. In August 2014, Ariyibi signed a 12-month contract with League One side Chesterfield after reportedly turning down a move to Premier League side, Burnley. The winger obviously felt game time was important, making Chesterfield a more appealing prospect. Given the fact that Leeds only gave him a deal until the end of the season and Chesterfield only committed to an initial 12-month contract (which was extended in March 2015 until this summer), it is perhaps a surprise that Forest have shown a lot more faith with a three-and-a-half-year deal. Now with around 100 league games in English football under his belt, maybe the time was right though for a longer deal. The talent is clearly there as emphasised by Gary Caldwell when he first joined as manager of Chesterfield. He was quoted saying “I think [with] the talent he’s got he can be anything he wants to be”. “He’s got a great physique, just turned 22 and I’m really looking forward to working with him”. He’s clearly got work to do, scoring just 4 goals so far in his career but given his age, time is most definitely on his side. Maybe the faith shown in him by a club like Forest will give him the motivation he needed to kick on and realise his potential. Forest fans would have also been hoping for defensive reinforcements given the amount of goals shipped this season, however since Brazil has been placed in temporary charge the Reds’ have kept two clean sheets in three games. This matches the total amount kept during Phillipe Montanier’s 30-game reign. 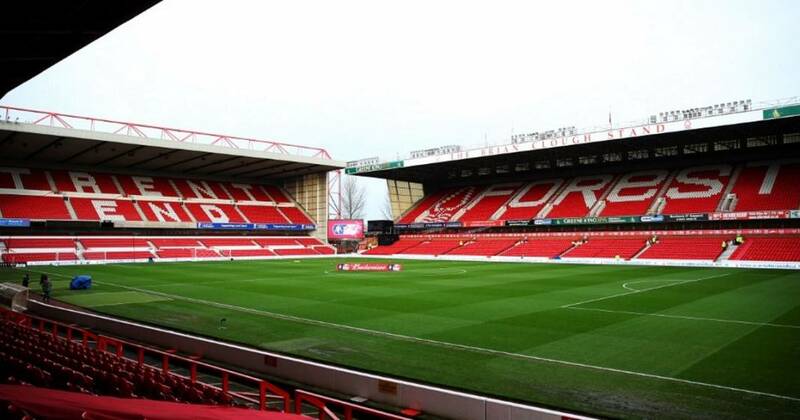 In the three games under Brazil, Forest have beat Bristol City and Rotherham at home, 1-0 and 2-0 respectively but suffered a 0-2 away defeat to Leeds. The club did try to bring back former captain Luke Chambers from Ipswich Town, but could not get the deal across the line. Deadline day for Forest has to be considered a great success especially amidst the negativity surrounding the club’s current ownership.